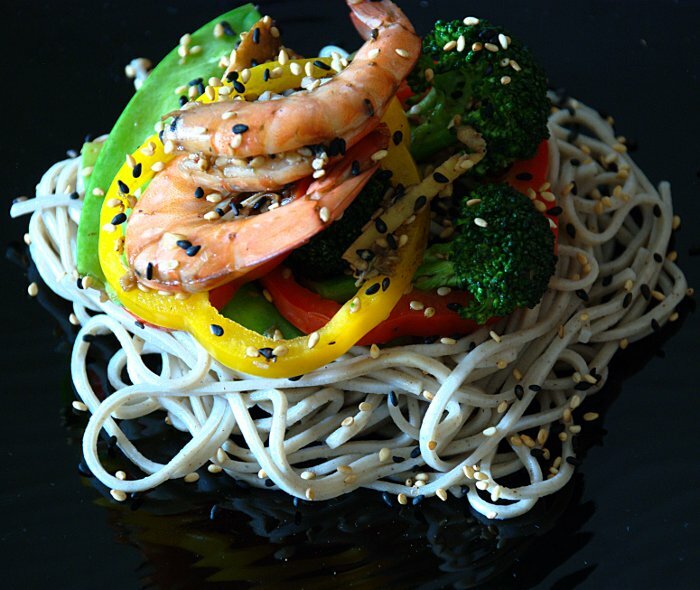 Soba noodles are slightly healthier than wheat pasta. They also have much more flavour. We try to use this type of pasta or we make our own. We cooked the shrimp with the shells because we think it adds flavour. We stir fried the shrimp with vegetables and sprinkled sesame seeds. Very simple and healthy.